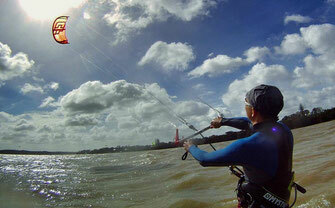 You want to become a Kitesurfer? I will set you up for an adventure that will last a lifetime! 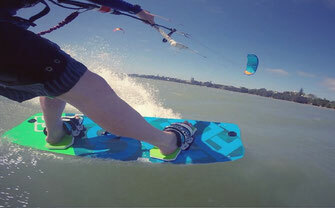 I offer these Beginner Package deals because over the years I have taught several hundred students, and in my experience I found that newbies need at least three beginner lessons to become confident Kitesurfers who can go out by themselves and enjoy this addictive sport. 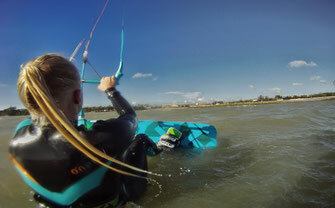 My Beginner Package includes the complete Beginner Program and gives you 9 hours of kitesurfing lessons over the course of three days. You will learn how to fly and control the kite, and getting up on the board for the first time will be an unforgettable experience for you. For these three lessons you will only pay $575, a saving of $100. Package deal for $380 per person, a saving of $140. or send me a message and I will be in touch with you shortly.